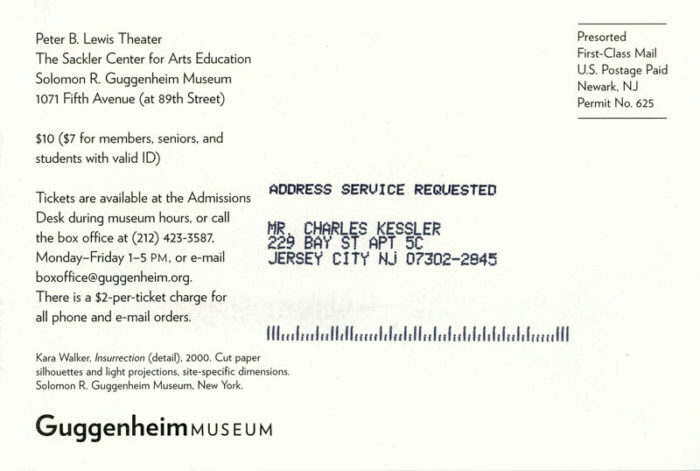 Postcard for Conversations with Contemporary Artists at the Guggenheim Museum, 2000. 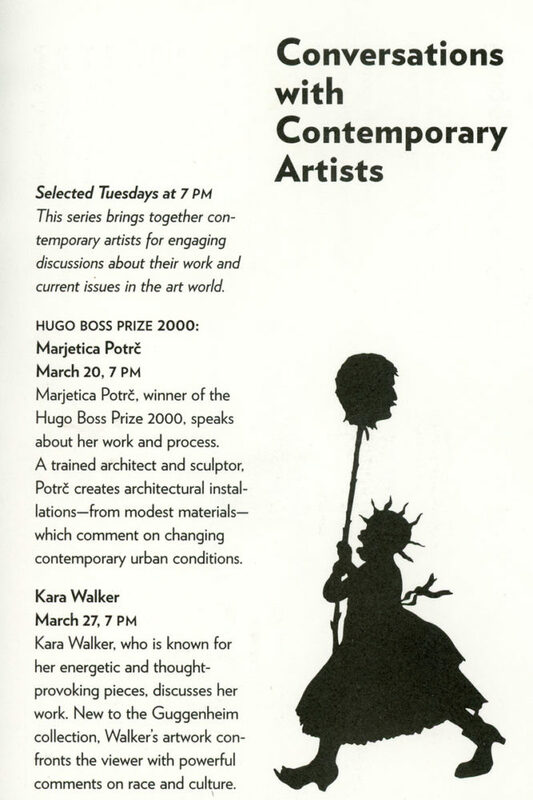 Programming included conversations with two artists, Marjetica Potrc and Kara Walker. Front of card features a detail of Walker’s work, Insurrection, cut paper silhouettes and light projections.